EXCLUSIVE AT NET-A-PORTER.COM. 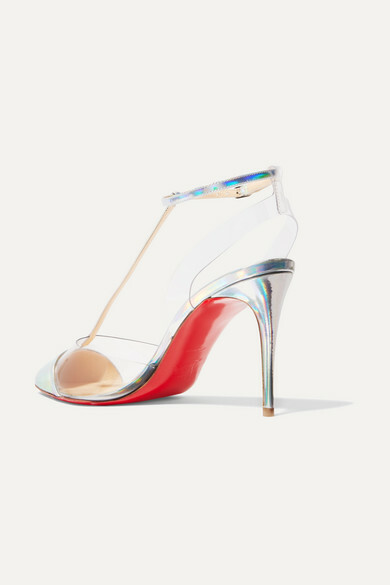 If Christian Louboutin's 'Nosy' pumps had their own social media account, Scarlett Johansson, Jennifer Lawrence and Kendall Jenner would likely hit the follow button - all three have a pair. 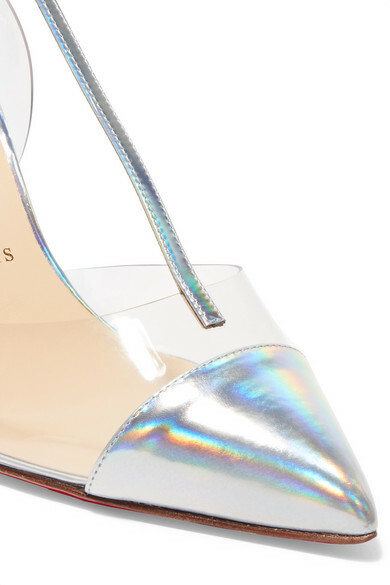 Part of our special party capsule, this version has been made in Italy from iridescent silver leather and is trimmed with transparent PVC to create the illusion of a floating T-bar strap. 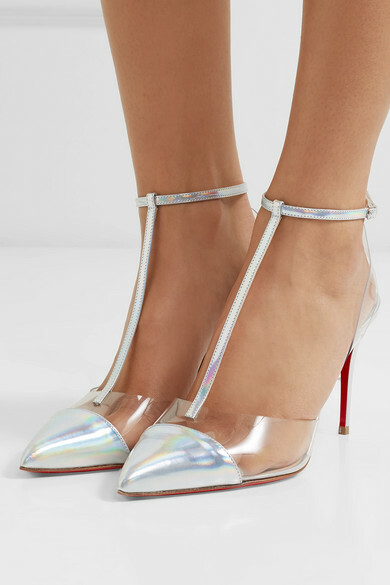 They're lacquered with the designer's signature red soles.